There are many ways to help Vanderheyden.  You can can make a: one time donation, a monthly contribution or a quarterly scheduled donation. Areas of Need Include: Aging Infrastructure: 24 Buildings, Roads, Water Lines, Transportation, Leaking Roofs, etc. ; Educational Supplies and Programs - Career Center; Recreational Equipment and Programs; Furniture, Floors; Landscaping; Comprehensive Fitness and Health Programs; Plus many others. When you shop at AmazonSmile, Amazon donates 0.5% of the purchase price to Vanderheyden, Inc. Bookmark the link AmazonSmile and support us every time you shop. Did you know if you register your Price Chopper Advantage Card with the Tools for Schools program, you earn points to help Vanderheyden get needed equipment such as school supplies? 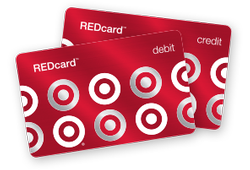 Go to Tools for Schools and register your card with our school. Vanderheyden school number is 15908. We also created an Amazon wish lists if you want to take a look. 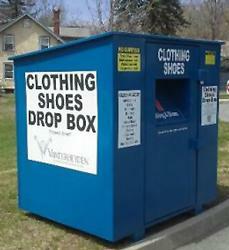 Drop your unwanted clothing and shoes in our new blue box on our school campus parking lot and help Vanderheyden raise money. Acceptable items include all mens, ladies & childrens clothing, handbags, belts, paired shoes & sneakers, household linens, material, stuffed animals, hats and scarves. American Clothing has been working together with over 200 local organization for over 15 years. The clothing drop box program is designed to raise funds on a year round basis. This method of fundraising has been successful with many non-profit organizations. The clothing is sent throughout the US and then to other countries to be reused. Vanderheyden graciously accepts donations made in honor or in memory of a loved one. Donors have the option of specifying where they would like their donation dollars to be placed. Every dollar you donate goes towards providing the best possible treatment to the youth, individuals and families entrusted in our care.